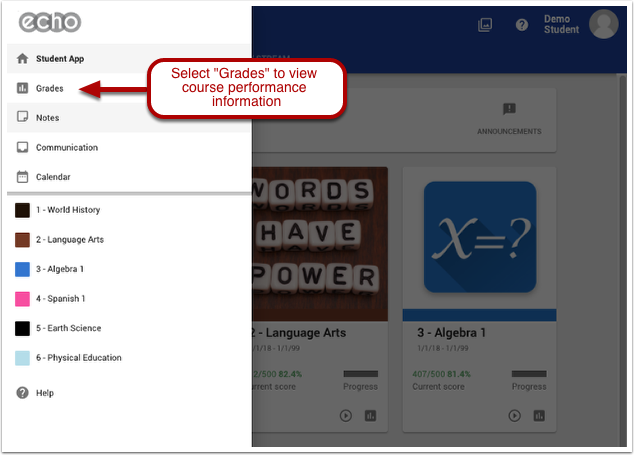 To view grades, open the main navigation window in the upper left corner and select "Grades". The Grades page lists the courses the student is enrolled in and provides information on student performance in the course. Average of course scores for each of the critical skills your school measures across all courses. Click the course title to open the gradebook for that course.